Welcome! My name is Doug Rountree and if you have landed on my website, you must be frustrated with your dog. 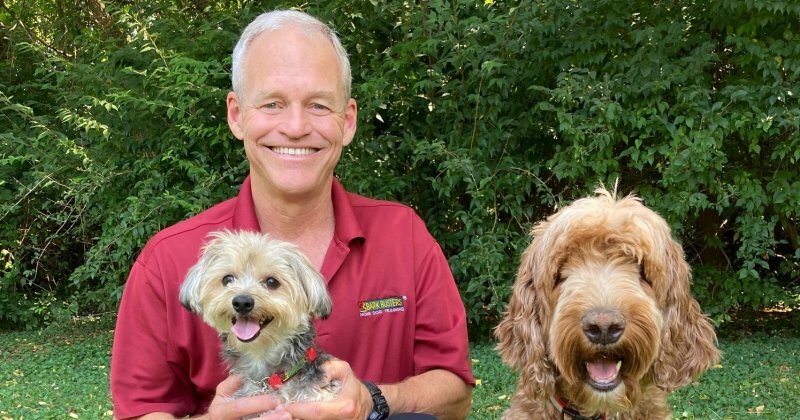 Since 2006, I have had the pleasure of successfully training thousands of dogs throughout the Louisville and Southern Indiana area. Chances are your dog doesn’t realize he is misbehaving and is as stressed out as you are! No problem. The Bark Busters method can help you overcome virtually ANY issue and will restore peace to your household. What’s the best part of our training? Your dog will be so happy that you finally "get it"! Plus, you don't actually have to come to me - I come to you! I do in home training because this is where your dog can focus best (in his own den) and where most of the problems occur. 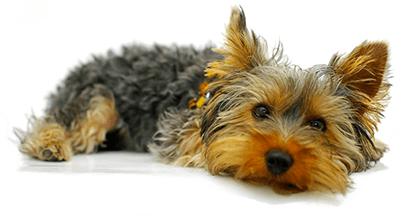 Together we will develop a custom plan to overcome your dog’s specific behavior problems. Most of the training involves in teaching you how to properly communicate to your dog, in his own language, without involving physical punishment or treats. And, you also receive unlimited lifetime support at no additional cost! Here are four other important points of our dog training methods. The story of my results is best told by fellow dog owners! “We had time to practice some techniques prior to doing them with our dog. She responded very well in just one training session.” Patricia M.
You will see immediate results after our first lesson. “We were very pleased with training with Doug. We could not believe the difference in Jack the day of the first lesson. We will recommend Bark Busters.” Pat H.
I use only positive, humane methods – no shock collars or clicker training. “We value Bark Busters' non-physical techniques, and Doug Rountree is absolutely tops -- very professional and an excellent trainer.” Vicki L.
Our dog training works where other methods such as classes have failed. “I have tried two other trainers and didn't like their techniques; too inhumane. However, the Bark Busters harness and verbal correction helped tremendously.” Teresa B. Our reputation is also backed by the Better Business Bureau. Want more details about my Bark Busters training? Click here. Whether you need mature dog training or puppy training, small dog training or large dog training, Bark Busters of Louisville is here to help. Doug Rountree is a dog whisperer. He is a natural with training dogs and teaching their owners to be successful trainers. I never thought I would see results so quickly. I highly recommend him to dog owners with dogs of any age! The initial results were amazing. I couldn't believe how well my dog responded. I can tell that our relationship will be less stressed and life with Molly will be so much more enjoyable. Abby was a changed dog after just a couple of minutes. By the end of the first day I couldn't be happier. Doug made it very easy to understand and definitely worth the investment.